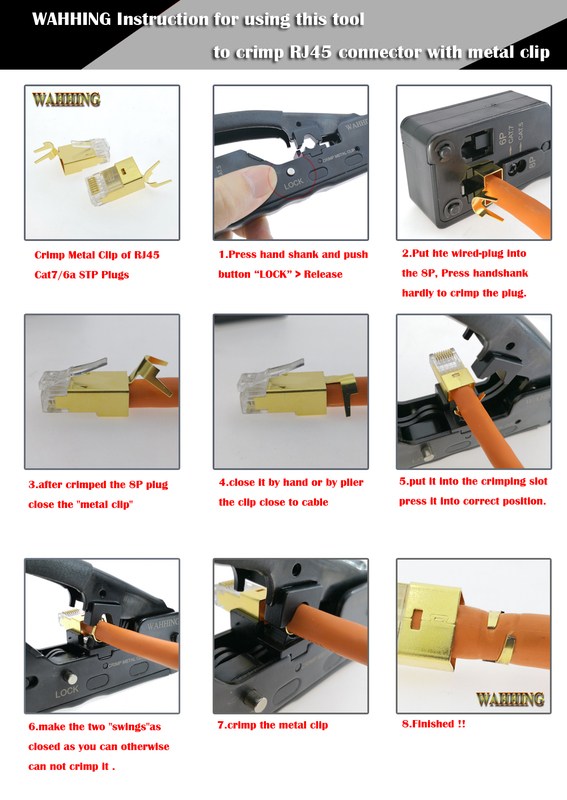 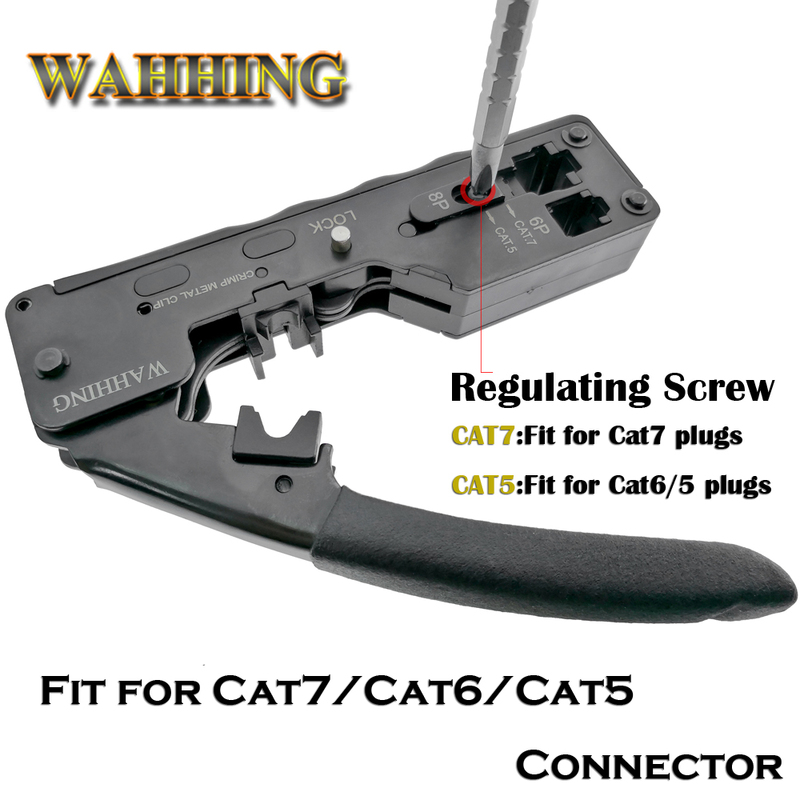 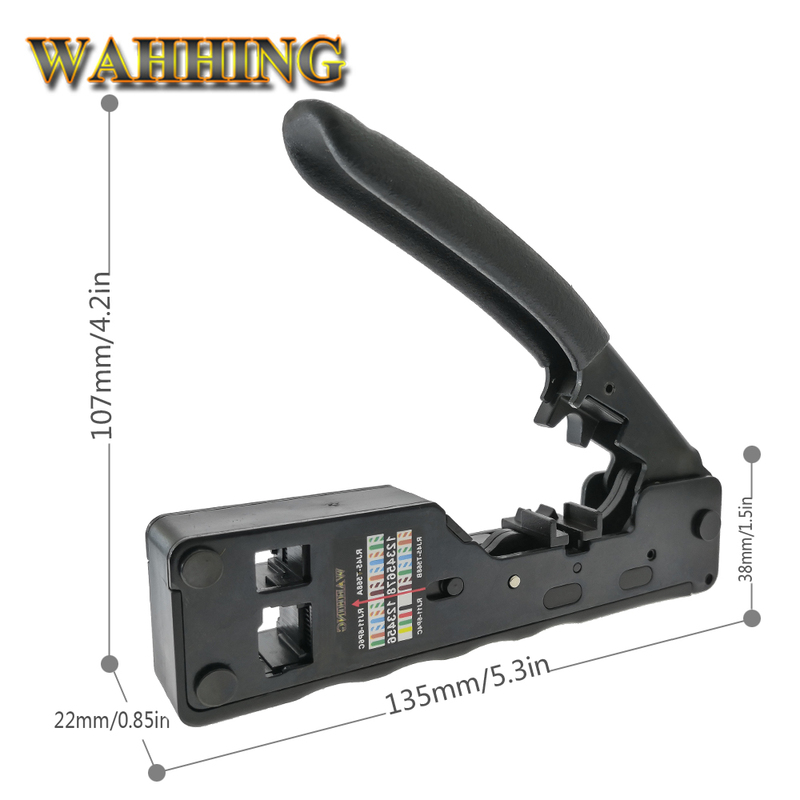 WAHHING multi-function crimper is compact, high quality and rugged, making installation quick and easy. 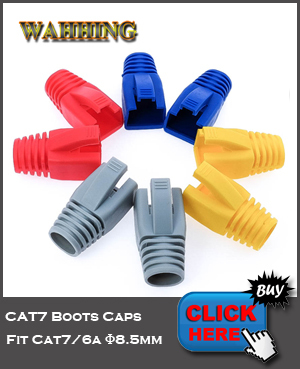 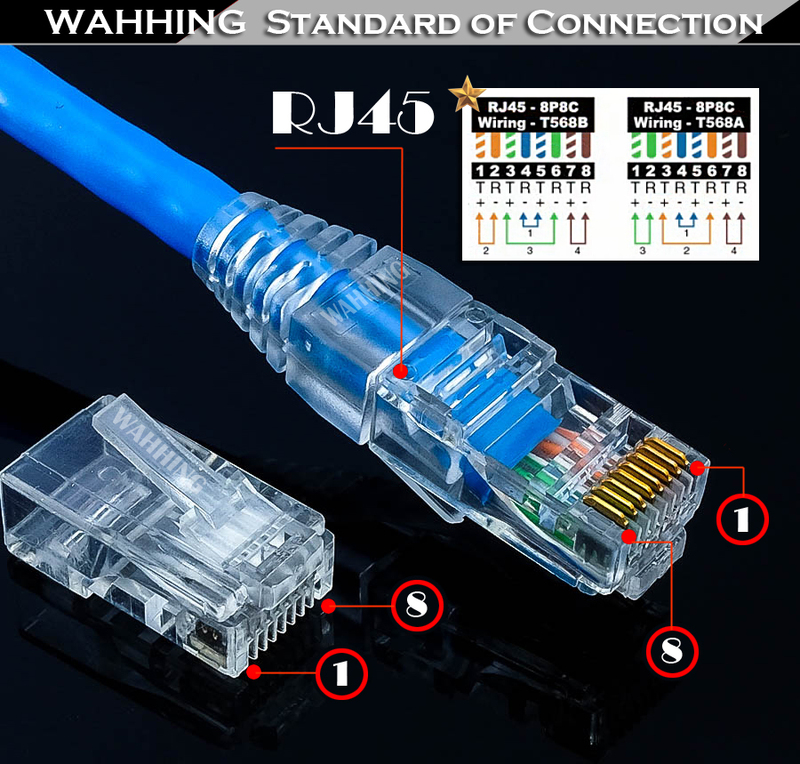 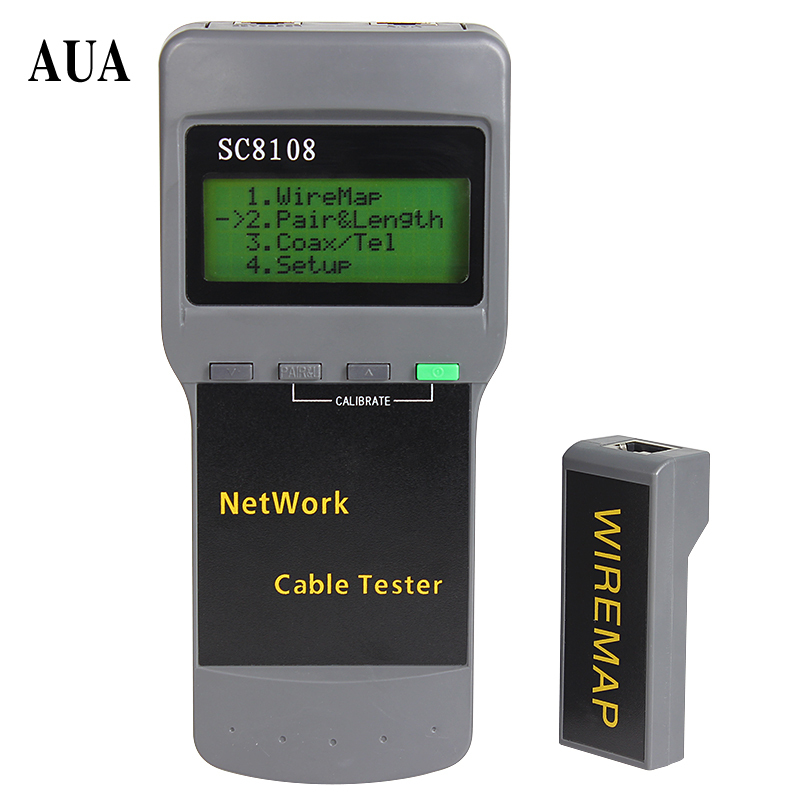 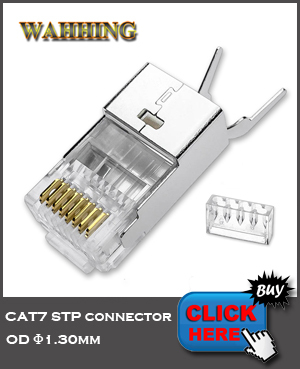 Multi-functional design Great for RJ45 8/6pin CAT7/6a Metal Clip plugs or CAT6/5e and RJ12/13 connectors. 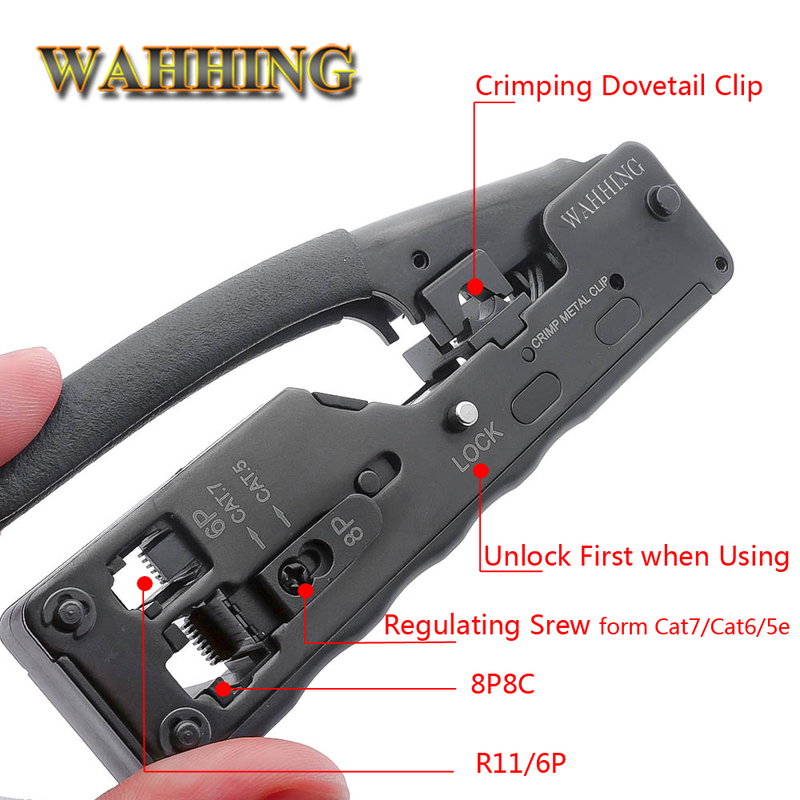 Built-in security lock, When you\'re finished, a gun-style lock keeps the tool tightly closed. 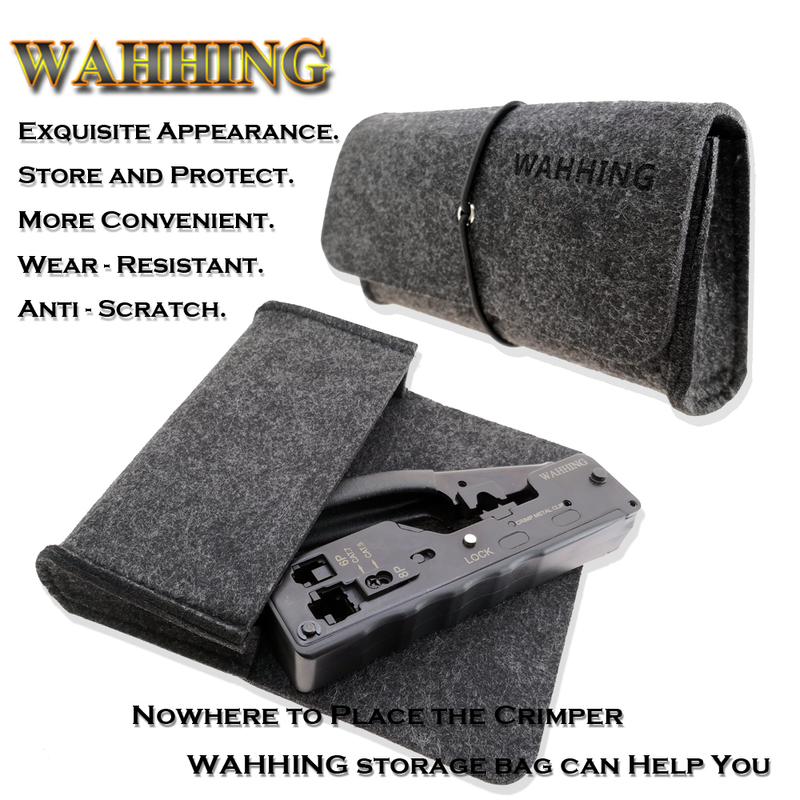 Give a WAHHING storage bag that is beautifully crafted, wear-resistant and scratch-resistant. 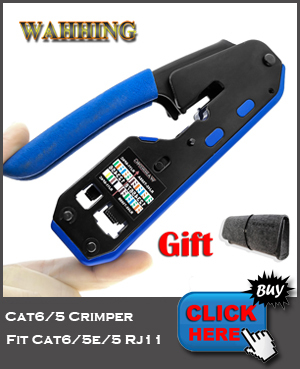 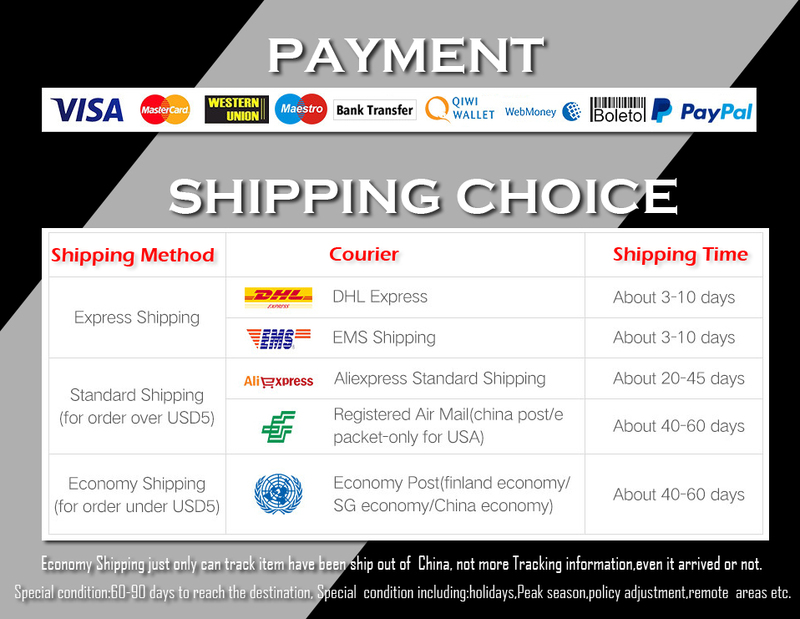 The tool can be safely protected and stored more conveniently when not in use.